Wandsworth School, with nearly 100 years of history, is fondly remembered by its former pupils as one of the best schools in London. 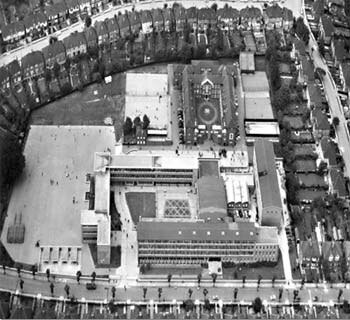 Through its history it can boast being one of London’s largest grammar schools, a grammy winning 200 strong choir, huge specialist trade workshops and science laboratories, its own planetarium and, not least of all, such former pupils as Martin Bashir, Gary Wilmot, Ainslie Harriot and Jimmy White. Finally closed in 1989, the school now exists only in the form of Wandworthians Rugby Football Club (formely Old Wandworthians RFC) and The Old Wandsworthians Memorial Trust. • The furtherance of sporting and educational activities and the provision of welfare benefits for former members of the Old Wandsworthians Association and associates and former pupils and teachers of Wandsworth school, Wandsworth; former members of the Old Wandsworthians RFC and members of their immediate family and former and current members of Wandsworthians RFC whose application is supported by the Committee of Wandsworthians RFC. 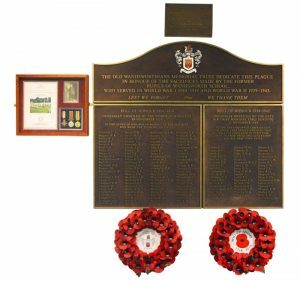 • The provision of a permanent memorial for former pupils and teachers of Wandsworth School, Wandsworth, and the promotion of the gathering and association of former pupils and teachers of Wandsworth School, Wandsworth, former members of the Old Wandsworthians Association and associates, former members of the Old Wandsworthians RFC and former and current members of Wandsworthians RFC. Click here to see all the names of former pupils who gave their lives during the World Wars.